Supplements can be a great help to your health. Together we can create a plan based on you and your unique goals. I partner with a few select companies to give you access to quality supplements and to make sure that you healthcare dollars are wisely spent. ​By ordering though Emerson - Wellevate you will receive 20% off regular prices; click on the icon below. You can choose from 275 brands and thousands of products. If you are looking for a very specific product choose "advanced search" or send an email to SouthernMarylandDietitian@gmail.comSouthernMarylandDietitian@gmail.com. 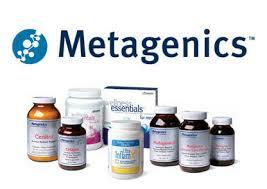 Visit my online store at lisahugh.metagenics.com or click the image below and receive 20% off your first order. If you are preparing for weight loss surgery or have had weight loss surgery, there are a lot of products at Bariatric Pal including vitamins, protein supplements, and high protein foods and beverages. If you are unsure where to start, I suggest reviewing the Vitamin Guide, or email me at SouthernMarylandDietitian@gmail.com for more information.